Learn how to efficiently and effectively train your dog. We design a training program for you and your dog and meet with you once a week to coach you through each step. Fees are based on travel distance from our office in Westfield, MA. You may also travel to us here in Westfield. We accept cash, check, or credit card. Six – one hour follow up sessions after completing behavior consultation session, email and phone support as needed, and written training plans and exercises. Includes a professional trainer bait pouch and Kong food puzzle toy. Get Started! Fill out our Canine Questionnaire. Shows your commitment to your dog. Allows you to pre-book all your appointments for the best days and times for your schedule. Allows the trainer to go more in depth and cover more skill sets for you and your dog. Let us teach your family how to efficiently and effectively train your dog. We will meet with you once a week or every other week and help you develop the handling and communication skills needed to change your dog’s behavior. You will receive a folder with detailed handouts for each training session customized for your situation. Coaching is recommended for those families who have the time and ability to work with their dogs throughout the week. Coaching can be set up on an hourly basis or by a prepaid training package. We serve areas of Western Massachusetts and Northern Connecticut. 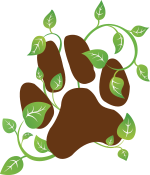 Call 413-­642-­5442 or email jill@pawsofnature.com to discuss how Paws of Nature Family Dog Training & Behavior Consulting can help you and your dog grow better, together. Fees are based on travel distance from our office in Westfield, MA. You may also travel to us here in Westfield, MA. We accept cash, check, or credit card. © 2018 Paws of Nature. All rights reserved.